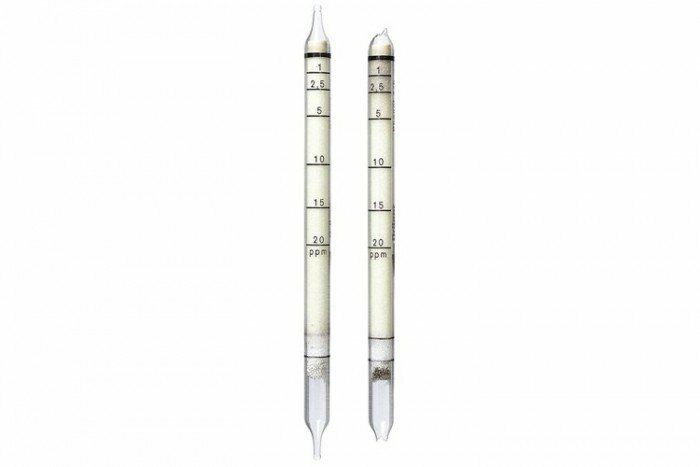 The short-term detection tubes from Drager are both reliable and cost-effective. These tubes detect phenol but may also be able to detect substances such as o,m,p-Chlorophenol and Cresol (all isomers). The product has a shelf life of 2 years and comes in a pack of 10 tubes. Cresols are also indicated, but with different sensitivities. To determine m-cresol multiply the indication by 0.8. Benzene, toluene and other aromatics without the heteroatoms are not indicated. Aliphatic hydrocarbons and alcohols are not indicated. At a temperature of 0 °C the resulting indication must be multiplied by 1.3, at a temperature of 40 °C it must be multiplied by 0.8.